These days, I often find myself overwhelmed by stuff. I used to love stuff. Hanging out at the mall, getting a new outfit for every occasion. I was definitely that teen portrayed in the movies. I can probably thank my friends and that viral video The Story of Stuff for a wake up call about what consuming all the stuff does for our planet. For a while I swung the opposite way. Trying to consume very little stuff. Long before I had kids I made a promise to myself that when I felt the urge to get all the stuff, I would let it be a signal to myself that it was time to get creative. Stop shopping and start making (which, often, also takes shopping, but I was trying!). And then we had kids, and the stuff piled up again. Now 5, my eldest is all about the stuff. 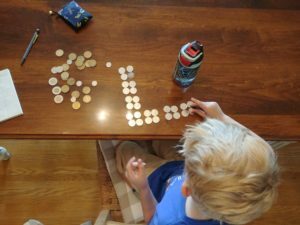 The lego stuff, the star wars stuff, the <insert what that kid at the park had today> stuff and I struggle, as always, with how to balance my needs with his own. I came across the book The Opposite of Spoiled: Raising Kids Who Are Grounded, Generous, and Smart About Money, by Ron Lieber, on a few posts in my favourite parenting group (Visible Child: Respectful/Mindful Parenting), and decided to give it a go. Not being the money manager in our family (Thanks, Honey ª), reading this book gave me a really good base for talking to the kids about money. In the book, Lieber, a columnist for The New York Times, brings forth a collection of stories of different ways that people manage money with kids in a way that meets each family’s needs while setting the kids up for financial success and tackling concepts like allowance, materialism, and giving. 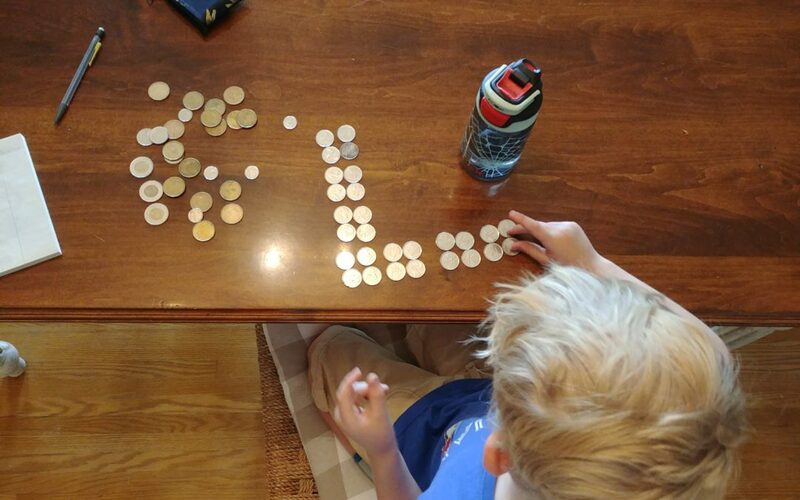 He includes creative tooth fairy visits, and the ways we’d hope our kids manage the awkwardness of miscommunication around money. Pleasantly, most show the parents taking their kids question and suggestions about money seriously. My favourite was the story of one family whose daughter, when realizing that their means were well above others in their neighbourhood, called her mom’s bluff that they should sell their house and give the money to charity. And they did it! They bought a house half the size so they could give the excess to charities that they decided on together. I’m tearing up just writing about it. This is a light book with many feel good moments. After reading it, I don’t have everything figured out (does anyone, ever?). I do, however feel much more confident knowing that there are so many ways to do it right, and have lots of suggestions to keep tucked away until they come up organically. And I feel ok about letting my kids do their own work for the excess that they’re hoping for. 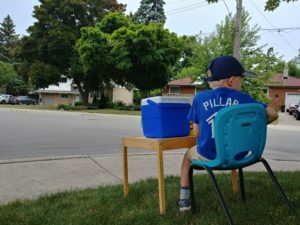 This week my 5 year old started selling freezies to save up for the next big thing. I’m willing to see where this takes us. I’m hopeful that it will lead to selling off the toys they’re not using anymore, but I won’t hold my breath.